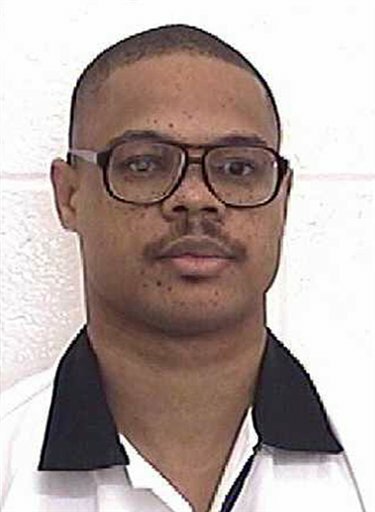 Kenneth Earl Fults was executed by the state of Georgia on Tuesday, April 12, 2016. Kenneth was pronounced dead at 7:37 pm EDT, inside the execution chamber at the Georgia Diagnostic and Classification Prison in Jackson, Georgia. He was 47 years of age. He was executed for the murder of 19-year-old Cathy Bonds, which occurred on January 30, 1996, in Spalding County, Georgia. Kenneth seen the last 18 years of his life on Georgia’s death row. Kenneth did not have any prior convictions in Georgia. Kenneth grew up in an abusive home. He was physically abused by his mother's boyfriends and witnessed his family members abusing alcohol. In January of 1996, Kenneth Fults went on a week-long crime spree with the goal of killing the man who was dating his ex-girlfriend. Fults first committed two burglaries, stealing several handguns. He failed in an attempt to murder the new boyfriend with one of these weapons. Fults then decided to rob his neighbor’s home. Carrying one of the stolen weapons and wearing a ski mask, Fults broke into the home after his male neighbor left for work. Fults threatened, at gunpoint, the lone female occupant, Cathy Bonds. Cathy begged for her life, offering to give Fults the rings she was currently wearing. Fults forced Cathy into a bedroom, where six feet of electrical tape was wrapped around her head. Cathy was then forced to lay face down on the bed. Fults placed a pillow over her head and shot her five times. Upon investigation, police discovered a letter written in gang code describing the murder. Fults insisted that he was in a “dream-like” state and shot Cathy by accident. Police also discovered the murder weapon and other stolen items on his property. Although he confessed, at his trial Fults attempted to blame the murder on two other individuals. Please pray for peace and healing for the family of Cathy Bonds. Please pray for strength for the family of Kenneth.